We've only been back from the beach for a week, and I still have tons of fun posts to share with you. 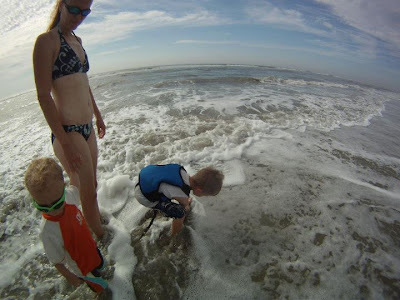 But first, I wanted to share some of our survival tips that can help make your vacation as a family more enjoyable. 1. Get into character for your trip. You can get your kids excited by reading books related to your destination. For our trip Pierce and I read Misty of Chincoteague. 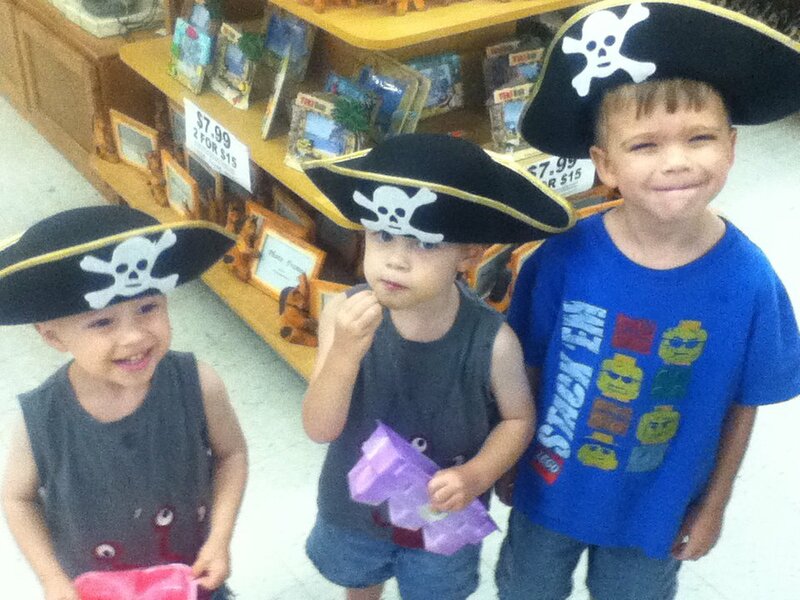 And I read many books about the beach to all three boys. 2. Prepare your kids for the travel time, in advance. I didn't want to hear a lot of whining on the trip. I got the kids excited by showing them maps of the drive, talking about how much time it would take, and looking at pictures online about the Chesapeake Bay Bridge Tunnel, which is over 20 miles long. They were so excited to see this tunnel that they didn't do much complaining on the drive. It also helps to bring a few new toys to pull out as a surprise during the trip. I brought rainbow doodle pads which kept the boys busy for a long time on the drive there. On the trip home, they each got a new matchbox car to drive around their carseat. 3. Bring a white noise machine or fan. Ever been in a hotel next to the elevator that kept dinging all night? Or even worse...next to a group of middle school soccer kids? Enough said! Sleep is priceless! 5. Take advantage of free programs. 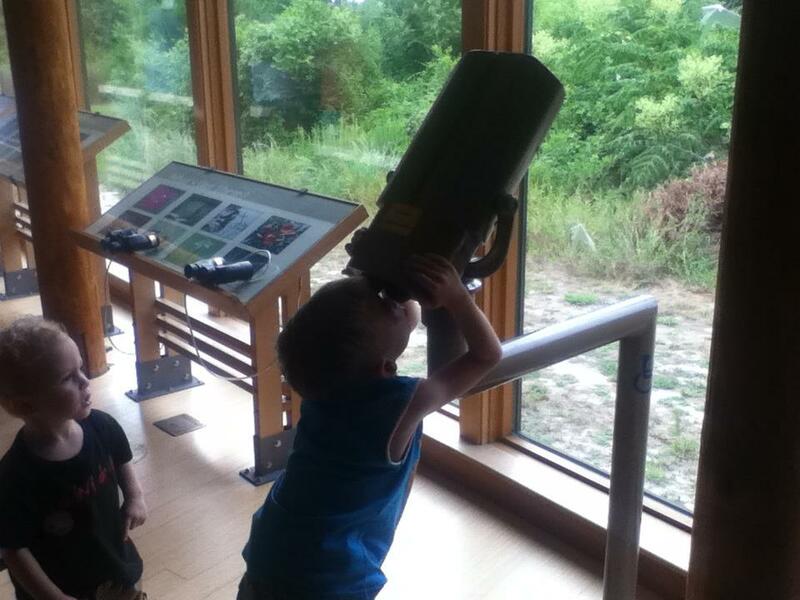 We found a NASA visitor's center that was free. There were also a couple of free visitor's centers on Assateague, along with a Junior Ranger program that Pierce was able to do. 6. If you will be gone for an extended time, consider renting a house. The townhouse we rented turned out to be less costly than a hotel, and the best part was the laundry machine. We hit the beach twice a day, every single day. So there were a lot of sandy clothes. I ended up doing 6 loads of laundry during our week, but when we got home at the end of our trip the only dirty clothing we had were the clothes on our backs. It was wonderful knowing I wouldn't have piles of laundry to do when we returned. 7. Movies are a nice treat but can be kind of expensive - plus I don't know that the twins would sit still through one. Instead, we brought two new dvds that the kids hadn't seen before, and some microwave popcorn and m+ms. We had some nice down time two afternoons when the sun was super hot that the boys watched movies. 8. Let each child have a small amount of money to get a souvenir from the trip. They will be excited to have their own money to spend, and picking something out will truly be a treat. 9. 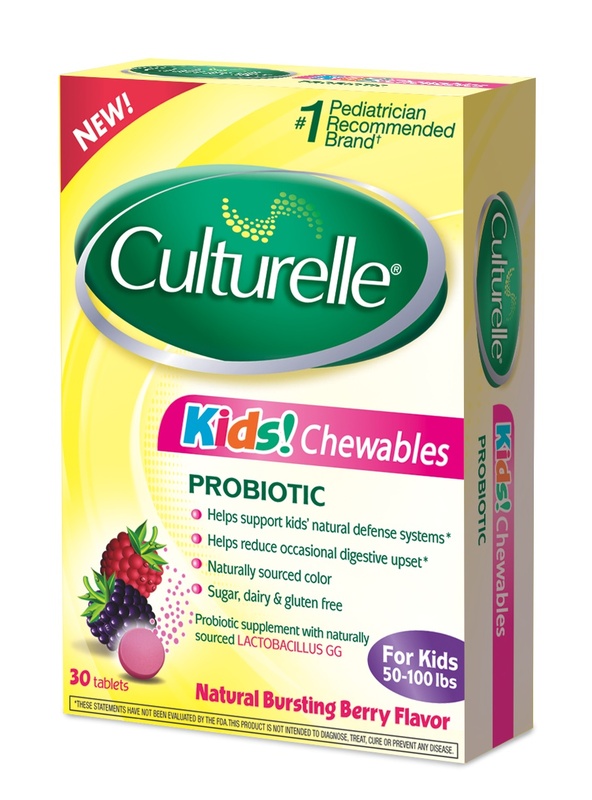 Use Culturelle Kids Probiotics to prevent stomach issues and help support kids' natural defense systems. We've been using Culturelle since Pierce was a baby suffering from severe acid reflux. It was recommended by his gastroenterologist. 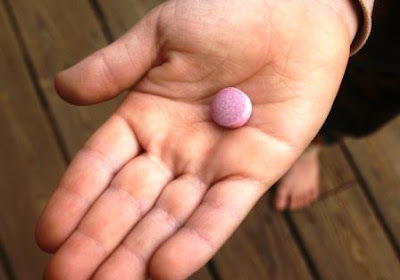 Now, they have an easy chewable form and it's a real lifesaver when on trips. We rarely eat out meals, so on a vacation daily meals out can wreak havoc on little bellies. Just a dose of Culturelle a day will help in maintaining digestive health. And Pierce even enjoyed the taste! If your child doesn't like chewables, they also have a powder format that you can stir in juice, milk, or a soft cold food like applesauce. 10. And speaking of health, be sure you bring any special medications your child might need, like fever reducers or allergy medications. Even if they are fine when you leave home, you never know when something might pop up. Better to have it on hand than to have to try to find a drug store in a new area late at night. We were so thankful to have medications on hand when Cort unexpectedly broke out in hives one afternoon! What are your tips for taking family vacations? Disclaimer: I was compensated for this post and provided with Culturelle samples. All opinions provided are my own. We all need probiotics. A good immune system starts in the gut! 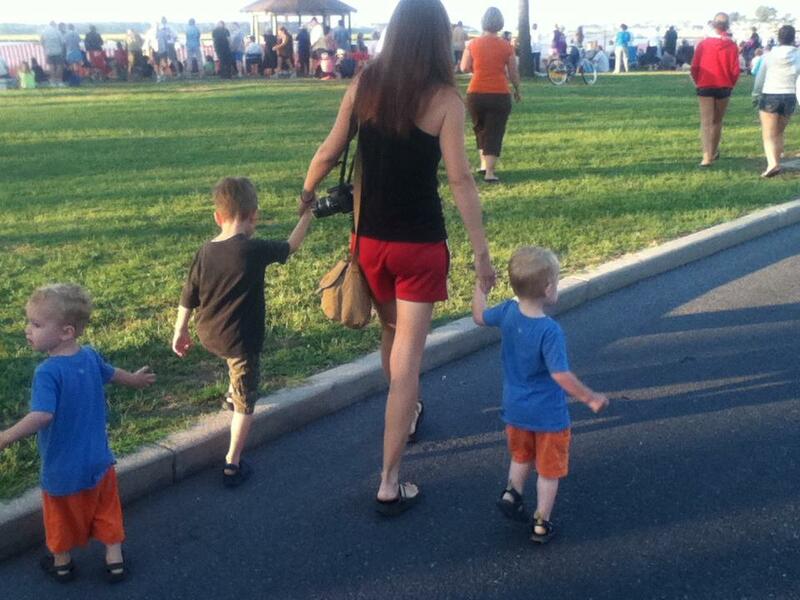 Glad you give them to your boys. Probiotics are good :) Great tips. The townhouse sounds like a great idea! 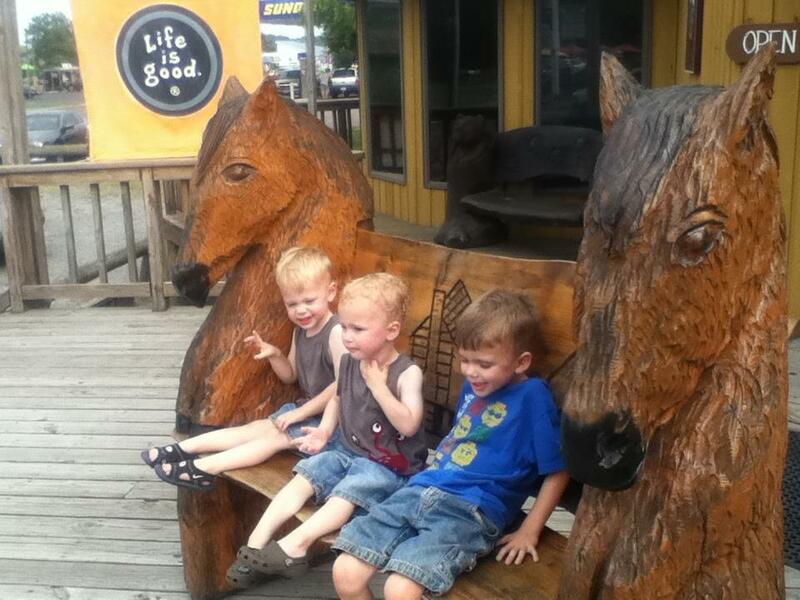 I bet is was great to see the ponies. Sounds like our trips! !! Great tips have a great weekend. great tips lisa, we had some pretty sour moments on vacations years ago. When Amy was small we played car games with her-from simple ones like counting certain color cars when she was really little to finding every letter of the alphabet on signs when she was older. She loved playing them and it's surprising how they helped the time go faster when she was tired of being in the car. Your tips are great advice for any parent of a small child-and I can't wait to hear more about your trip! Great tips! We've used a number of them when traveling with Livie. I hadn't realized those probiotics came in chewables; I'll have to look for some for Livie. Usually when we're traveling by car, such as when we're going to/from my parents' (about 140 miles away), I'll try to stop at various rest areas (especially if I know they're clean)regularly, just to give Livie a chance to get out, stretch her legs, and go to the restroom. Because sometimes there just isn't a place to go potty, and sometimes little kids just can't wait. I agree--take your own snacks and drinks, too. My doctor had me take probiotics when I was having some stomach issues, and they helped. Good idea to take them on the trip when eating habits change. Sounds like you all had a fantastic time at the beach. I second the probiotics- they are fantastic. When my daughter was very wee and we took long road trips we played car games like 'horse, cow, goat', 'the minister's cat', and 'I love you more than...'. These are wonderful tips for parents with youngsters. :) Glad your vacation was fun! Love these tips and pictures of the boys. Hope you guys are having a nice weekend. Some great tips. I swear by probiotics. They really helped my sons! Great tips. My kids are older, but we still pack our own drinks/snacks on trips. You can really nickel and dime yourself to death if you don't. That is so smart...the fan for white noise. The snacks at a lesser cost. The probiotics and other meds that are sometimes needed. We have been on several trips with children when some one needed the medicine cabinet at home. Gracias por compartir las tiernas imágenes, un placer pasar por tu espacio. I miss the lovelies being little most of the time. And then I realize how quiet it is when we travel now...LOL Sorry I’m just now getting over here- I’ve had out of town company for the last 5 days! Thanks so much for letting me know where Tucker is! I wondered where that little scamp had gotten off to. LOL Doesn’t Patrice have some daughters with amazing talents? I love all your tips on how to save money while traveling. SO with you on the snacks. Even for myself I always bring drinks and snacks. 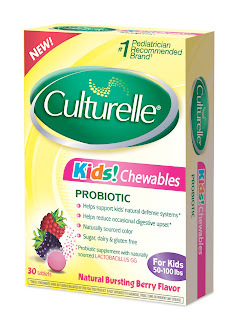 I have never tried the Culturelle probiotics, but I know how well they work for me. Look .... there you are again in your skimpy little swim suit looking all fit and toned. Must be all that running. I always took a sitter, not that you use it a lot, but have it when you need it. 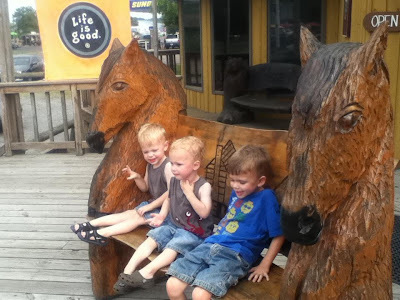 I am always traveling with my boys and I have to tell you that these are some GREAT tips!